Credit & Copyright: Vicent Peris (OAUV / PTeam), Gilles Bergond, Calar Alto Observatory. 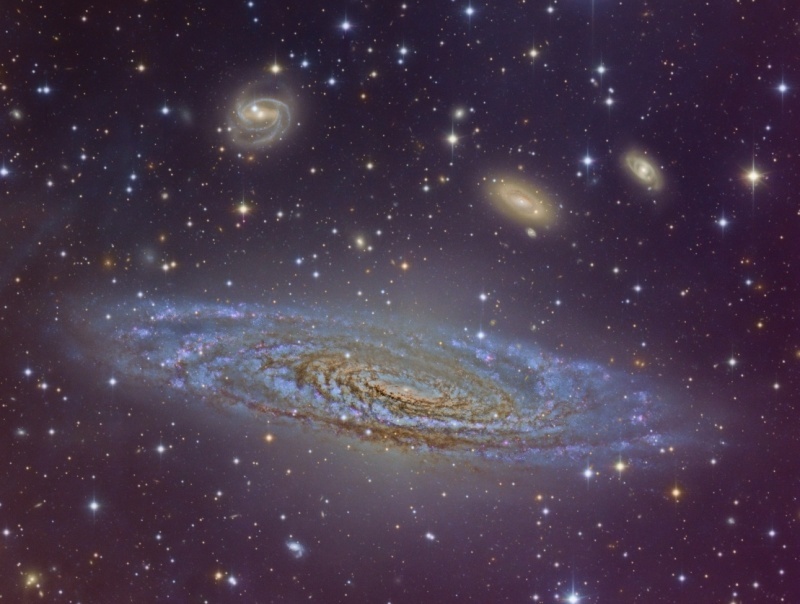 Explanation: A favorite target for astronomers, big, beautiful spiral galaxy NGC 7331 is one of the brighter galaxies not found in Charles Messier's famous 18th century catalog. About 50 million light-years distant in the northern constellation Pegasus and similar in size to our own Milky Way Galaxy, NGC 7331 is often imaged as the foreground of a visual grouping that includes an intriguing assortment of background galaxies some ten times farther away. This striking image of the well-studied island universe and environs was produced using data from the Calar Alto Observatory in southern Spain. Perhaps the deepest view of the region yet, the image data were processed to reveal sharp details of all sizes in both bright and faint areas. A color balance was chosen so that white would be the result of averaging colors over the entire galaxy. 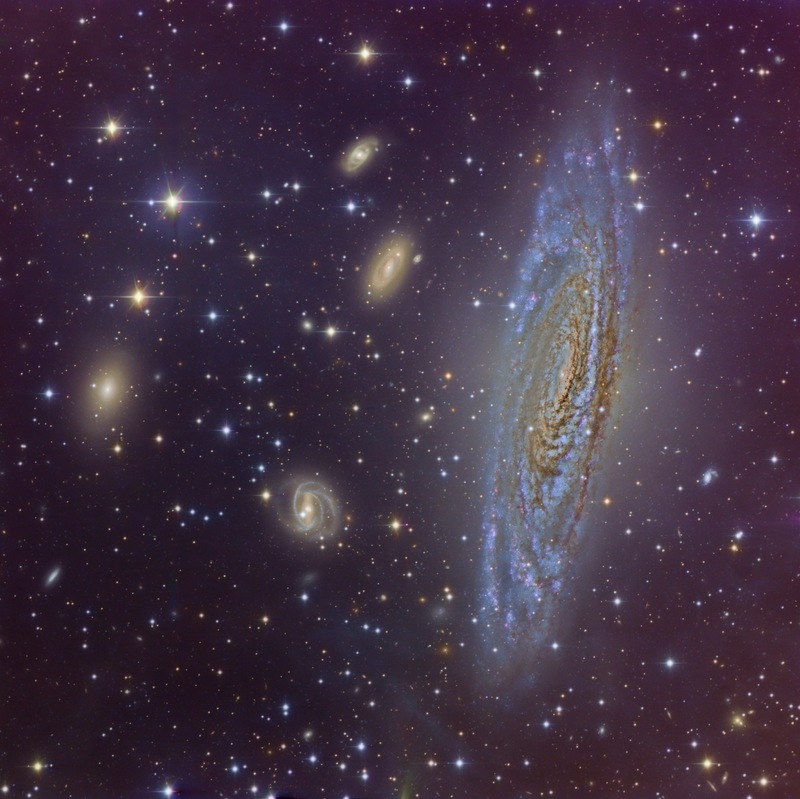 The result shows off a wealth of remarkable features in NGC 7331 and its surroundings.